Back in December 2010, an unassuming compact hatchback hit the Japanese and American markets. A new small Nissan isn't normally the cause for fanfares and celebration, but the Leaf is one of the most significant cars of recent years--as it's a competitive, usable electric car. Whether you love or hate the Leaf, it's playing a part in both turning electric cars into a mainstream product, and showing that a large car company really can put an electric vehicle into mass production. We've been covering the Leaf since its early days, and we've now brought together a guide that covers all aspects of the car, from pre-launch to the experiences of owners, two years down the line. There are plenty of links to go through, but we've split our guide into categories so you can find the story you're looking for a little easier. You'll find driving impressions on this page, ownership experiences on page 2, pricing, sales and production data on page 3, general and battery loss information on the fourth page, and page five is reserved for the more offbeat Leaf stories. So what is the Nissan Leaf? Put simply, it's a five-door, five-seat hatchback which sits in the compact class, next to conventionally-powered rivals like the Toyota Corolla and Honda Civic. It uses a 24 kilowatt-hour lithium-ion battery pack, which feeds power to an 80 kilowatt (110-horsepower) and 210 pound-foot electric motor. Official performance data is hard to come by, but the benchmark 0-60mph sprint has been variously recorded between 10 and 12 seconds, and top speed is around 90 mph. Official EPA range is 84 miles for the 2015 car, and 114 MPGe. 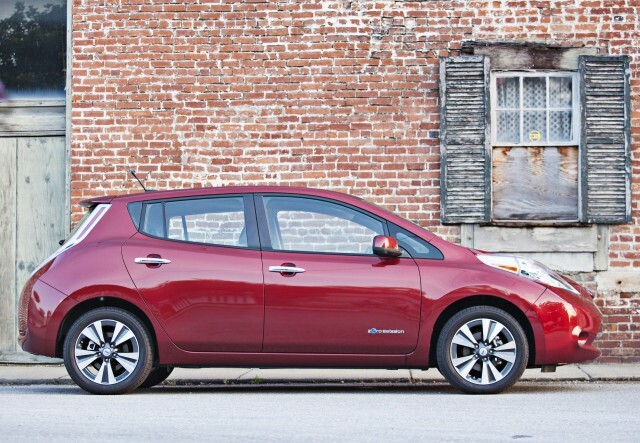 Pricing starts at $29,860 for the 2015 Leaf, including a mandatory $850 delivery fee. 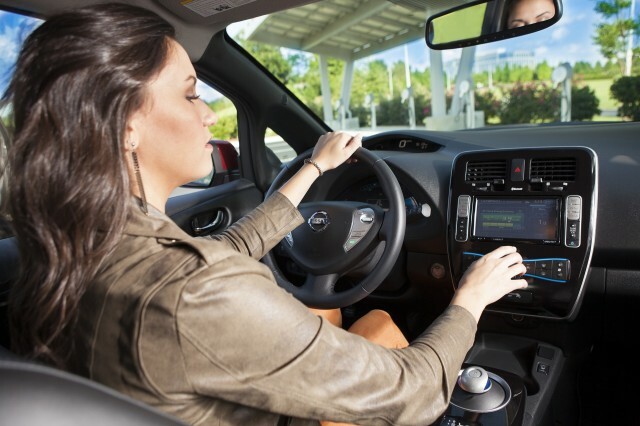 You can head over to our sister site, The Car Connection, for a review of the 2015 Nissan Leaf. 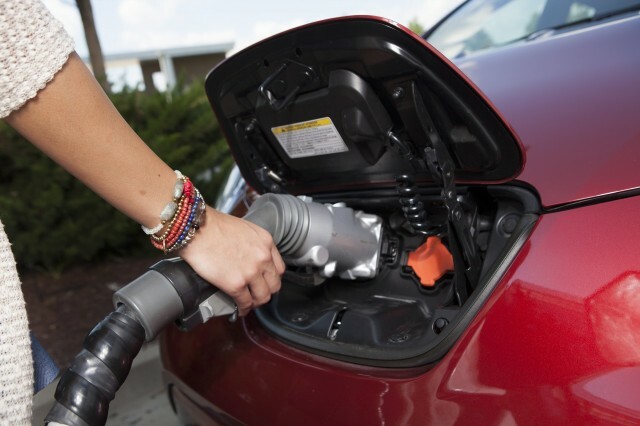 Does the 2011 Nissan Leaf Deliver Its100 Miles Of All-Electric Range? For an electric car to be relevant, it has to work, first and foremost, as a car. It must be able to do the jobs a regular car can do, and minimize the disruptions that some previous electric cars may not have managed. 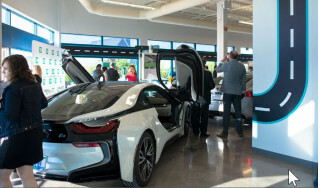 You can find plenty of information on the ownership experience below--much of it from our friend and ex-Green Car Reports author, Nikki Gordon-Bloomfield--herself a Leaf owner. One Leaf owner is also able to compare the experience with his Chevrolet Volt--you can read about that here. 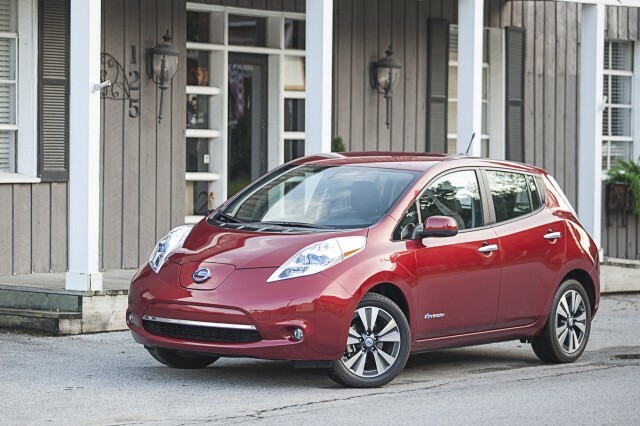 2013 Nissan Leaf: What Would You Change? 2011 Nissan Leaf: One Year On, How Healthy Is The Battery Pack? If you're considering an electric car--any electric car--the first thing you should do is head over to our full 2015-2016 Electric Car Price Guide. There, you'll find the actual price Nissan will sell you a Leaf for, purged of the sneaky included tax breaks which many companies employ to make the price look lower. For the 2015 Nissan Leaf, with the full $7,500 federal tax incentive left on the sidelines, but the mandatory delivery fee included, that price is $29,860. 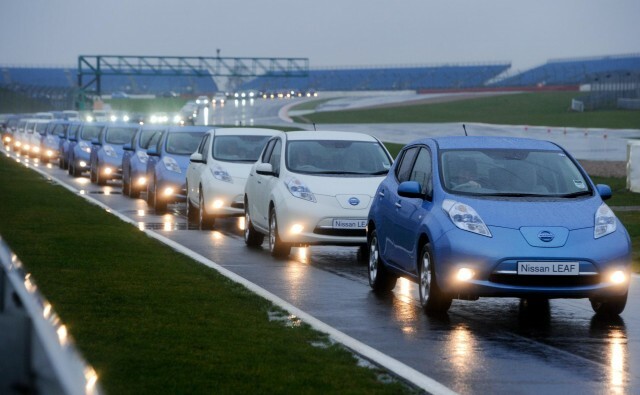 Will 2013 Nissan Leaf Price Cut Cause Sales To Soar? 2017 Nissan Leaf: Will It Cost The Same As A 2012 Golf? Year-Old Nissan Leaf Electric Car: Worth 70 Or 95 Percent Of New Price? With over two years of Nissan Leaf sales, we're starting to get a real idea of the car's quirks. Some are irritating--such as issues with the Carwings data service--and others are unexpected, such as the battery capacity loss of owners in hotter climates. Among links to these attributes and more, we've also got plenty of little tips related to running a Leaf--so scan through the links below to find what you need. Five Official Nissan Leaf Accessories You Can’t Buy In The U.S.
How Much Range Does Your Leaf Lose If You Unplug It For 8 Days? 2011 Nissan Leafs Start Losing Capacity Bars: Should You Worry? It isn't all seriousness, car costs, battery problems and ownership: There's a lighter side to the Leaf, too. Whether you're interested in the harsh testing Nissan put the Leaf through before releasing it, or if you simply like pulling pranks on gas station attendants, there's plenty of offbeat stuff here to enjoy. You can even watch the Leaf complete an autocross course--yes, people really do drive their Leaf hard. 2013 Nissan Leaf TV Ad: Selling Electric-Car Fun, Finally! Nissan To Fiat: Our Leaf Is Ugly? Look In The Mirror, Buddy! What Do You Call A Nissan Leaf In China? How About Venucia E30? How Scary Are Electric Cars? BOO !!! It's A Nissan Leaf Batt-Mobile!